When it comes to decorating your home, it doesn’t matter what sort of décor you are going for; vintage wall decor ideas can help boost your home’s beauty and be a huge benefit to the home as well. One of the most exciting things about these decoration items is the ability to switch it up from time to time, giving you a new look from a single piece, depending on where you place the item in your home. However, when it comes time to choose your best decoration ideas, it can be difficult to sift through all the many options out there. Instead of having to search through many different retro décor ideas, you can always look through our top 20 ideas. In this article, you will find several of our favorite options to help you find your style or create your own ideas to get only the best. Made with the tops of shutters, this white painting is one of the best vintage wall decor ideas. 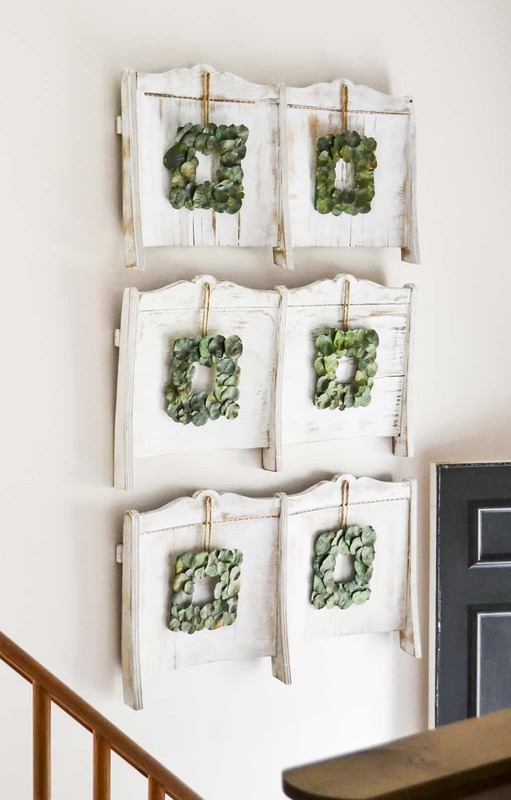 The rustic look with the distressed paint is a perfect complement for the leafy green wreaths that hand over the shutter sections. The wreaths are hanging with thin twine that only adds to the rustic flair of the wall hanging. 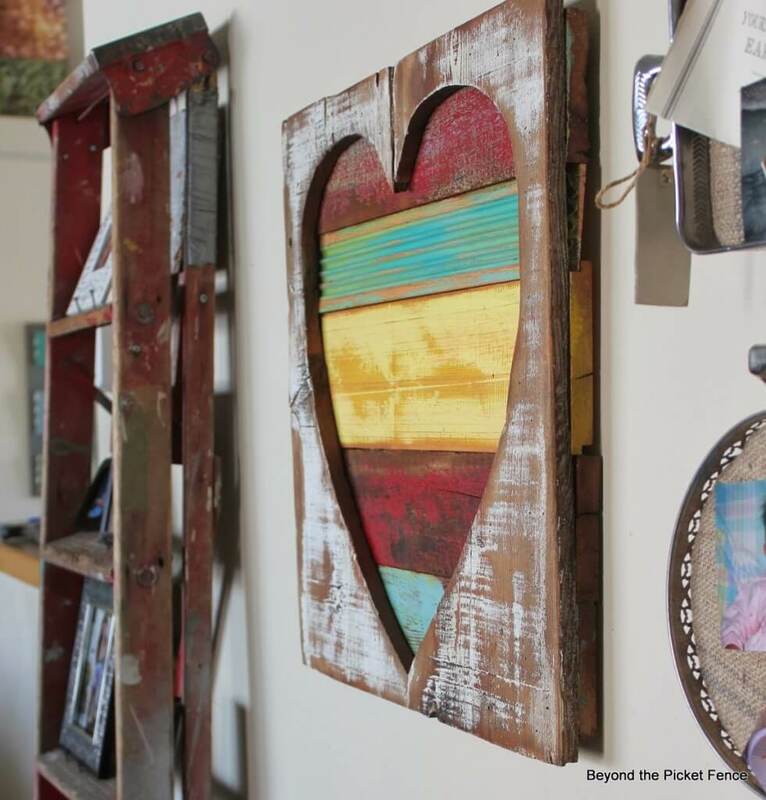 The heart shape cut gives it a cute flair, and the rough wood inside the heart is done with various colors or red, yellow, and turquoise to bring out a lightness to the design. The wall hanging features peeling and chipping paint for an even bigger retro flair. These turquoise shutters are perfect for any old-style décor. With the peeling paint and the shape of the shutters, you get all the retro and rustic vibes for your home. The glass vases are perfect for hanging up your favorite flowers, and the metal banding around the vases helps keep them up on the wall hanging so you can easily keep your flowers up for everyone to see. One of the most beautiful things you can purchase for your home is a skeleton key. 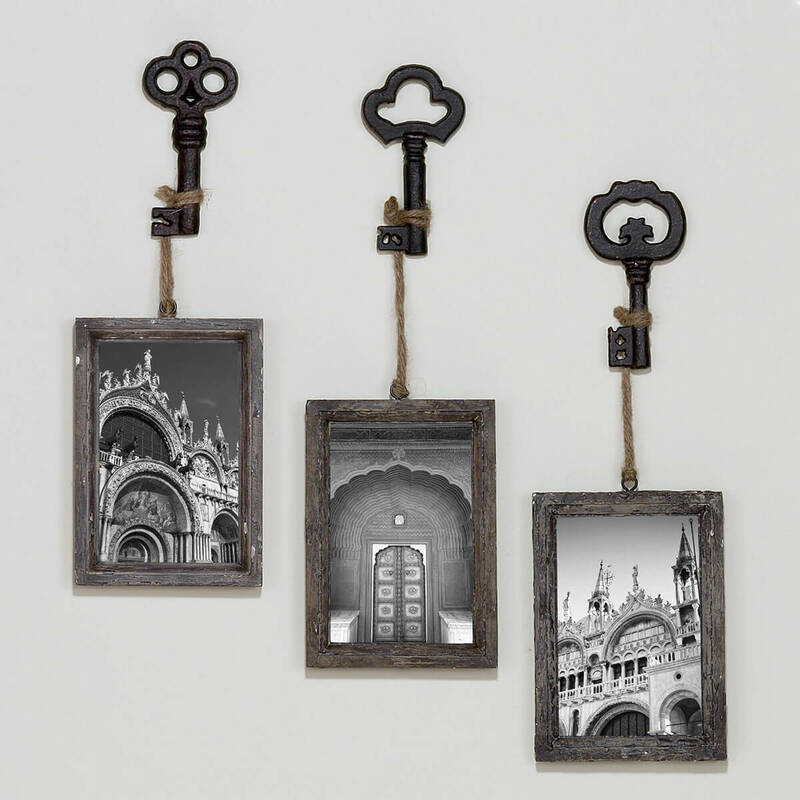 These picture frames hung by large, ornate skeleton keys in a dark iron. Twine is wrapped around the keys with dark, rough wooden frames at the bottom. You can easily add your favorite photos to the frames for an updated look in your home. The blue and white print that you most often see on retro china is the focus of this option in our list of vintage wall decor ideas. 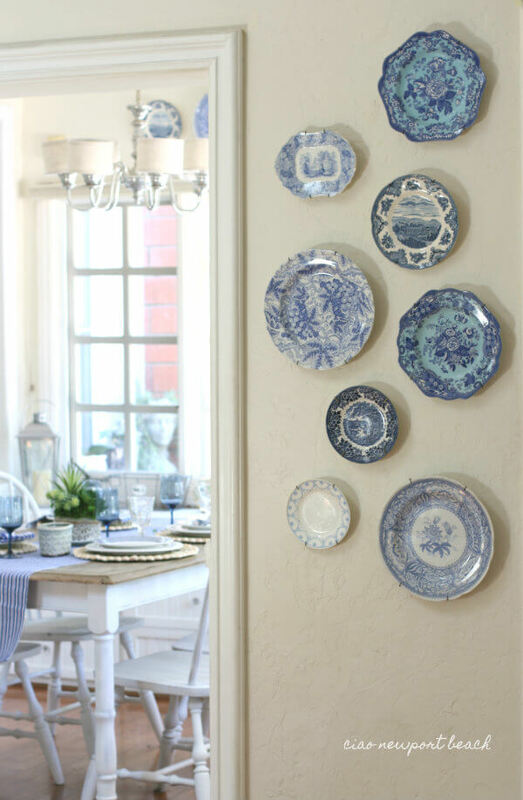 The ornate plates are hung up with plate hangers that help bring the focus of your space to the beauty of this classic china. Plus, these can usually be found at your local garage sale. A farmhouse twist on a flower hanging, this wall hanging option is beautiful for any type of home. 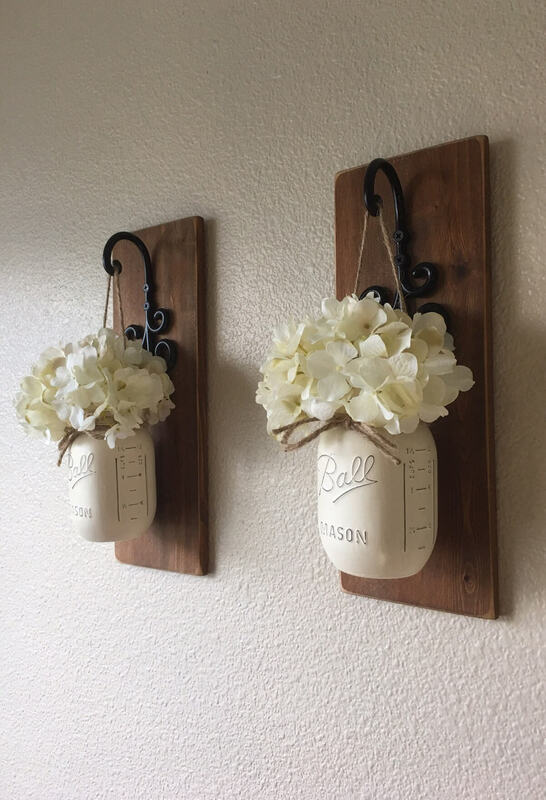 The dark wood panels on the back allow you to hang them on any wall, and the iron hooks are perfect for keeping your favorite flowers on display. The painted ball jars are the perfect complement to the dark wood, and the twine around the mouth of the jars and hanging the jars are perfect for that farmhouse flair. 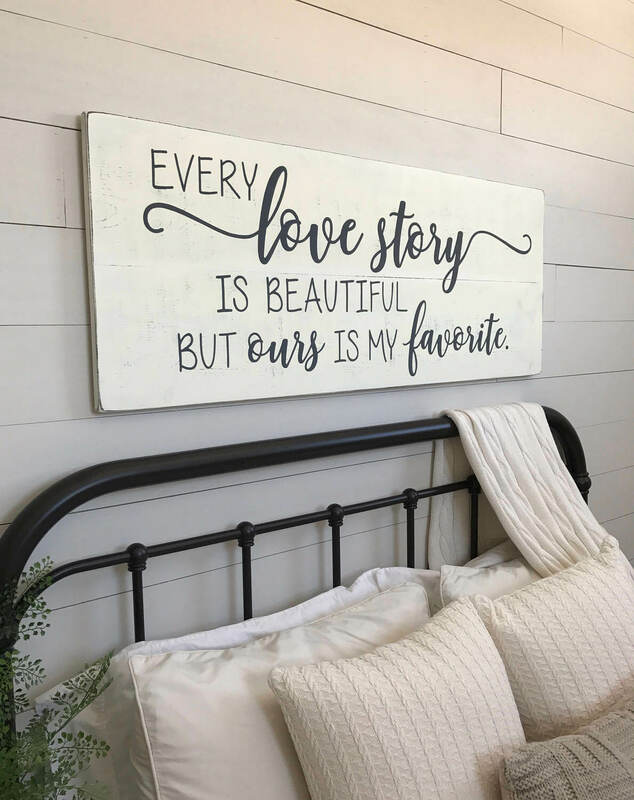 This hand-painted sign is ideal for any living room or bedroom. The wood is painted with a cream paint that is distressed to give off a beautiful farmhouse vibe. The lettering on the sign is hand painted with a beautiful calligraphy. The quote is great for expressing love for your significant other. For those that want to spruce up their laundry room, this retro frame and sign are ideal. It is made with rough wood that looks like it came straight from an old building. 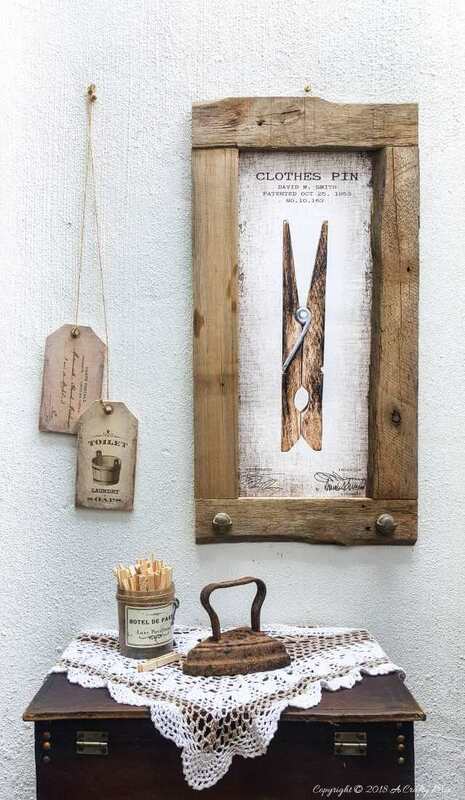 The sign inside is made with old paint styles and lettering, and the giant clothespin makes it a great addition to any laundry room needing a little love. You can add other retroelements to bring it to life. 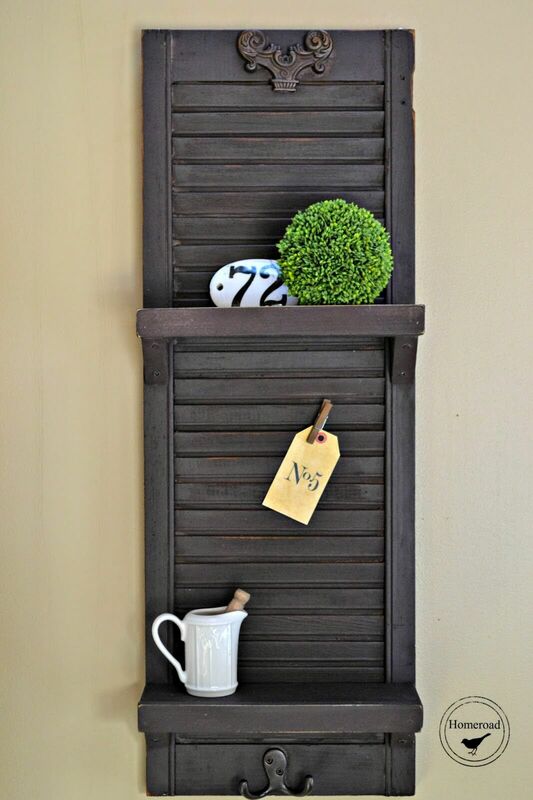 This old, dark shutter has been redesigned with several shelves to give you a beautiful wall hanging for décor, but also a bit of storage as well. The filigree addition at the top gives it an old feel, while the dark wood showcases the color schemes from times past. This is one of the best retro wall hanging decor ideas out there. If you want something unique for your home, these filigree flower wall hangings are perfect. 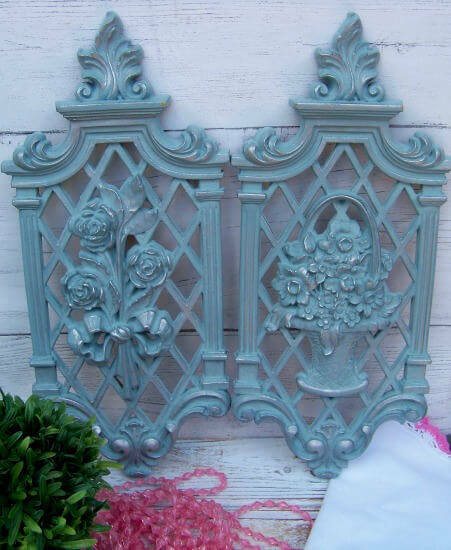 The lattice work behind the wooden carved flowers is perfect for giving off that vintage window vibe. 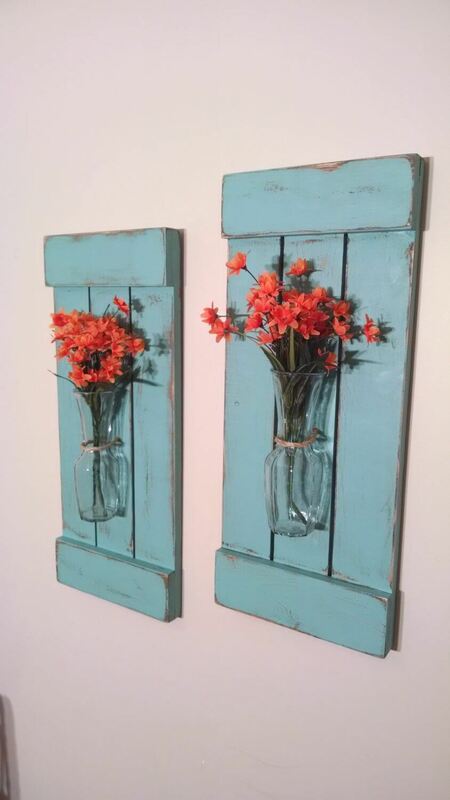 They are painted with a turquoise paint that is distressed for an even bigger retro look. 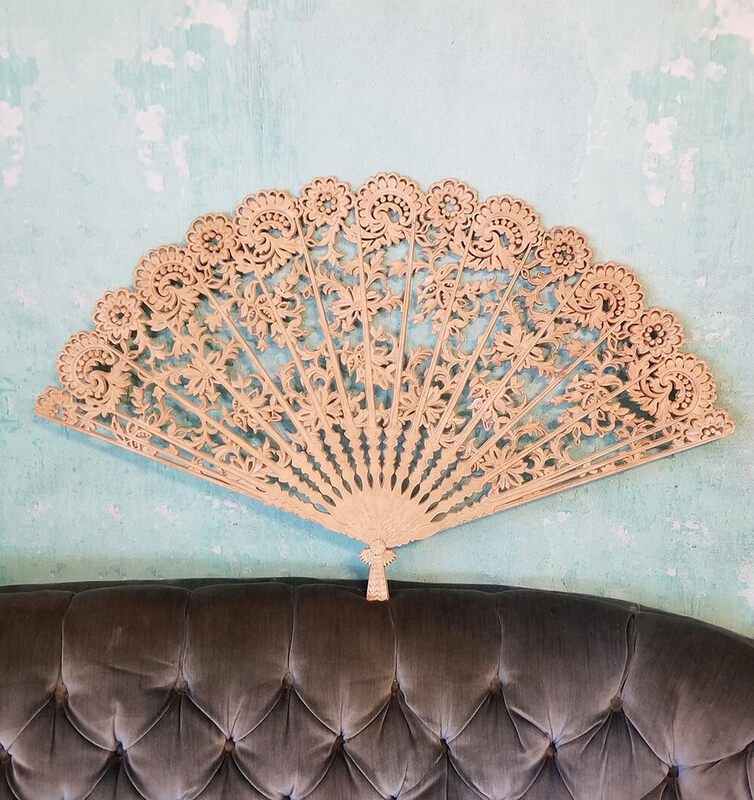 This ornate wall hanging is actually a fan-shaped carved from wood. The shape is delicate and beautiful, and the filigree resembles something straight from a storybook. The designs are beautiful, and the wall hanging it easy to bring the attention to your vintage style home. You can hang it in any room to bring the ornate feel to that space. This incredible mirror is everything you need to bring a classic feel to your home. 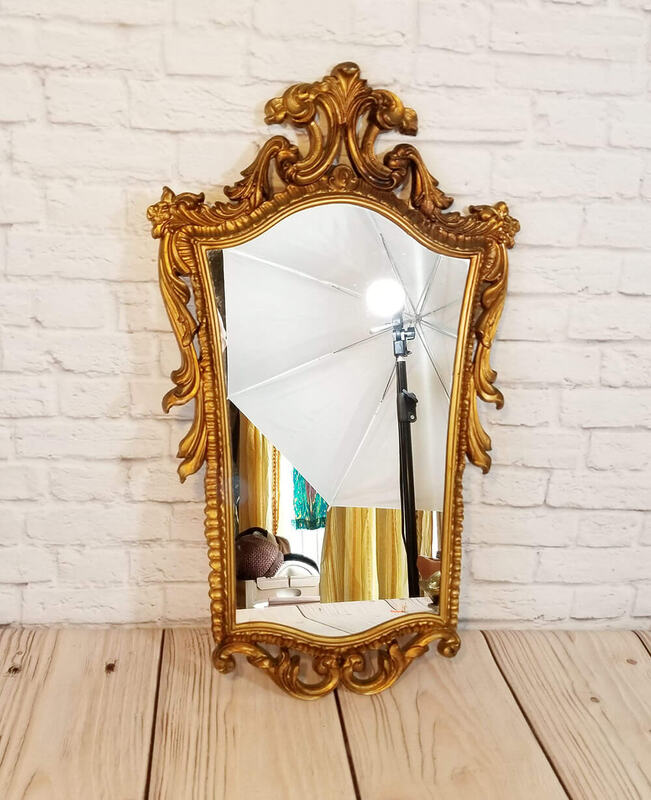 The large mirror surface gives you plenty of viewing space, and the ornate designs are similar to those you might find in an old Victorian home. The gold leaf painting is another beautiful vintage element that will leave your jaw dropping with excitement. This is another of the best vintage wall decor ideas out there. These 1970s vibe butterflies have all the retro looks you need to give your home a classic feel. 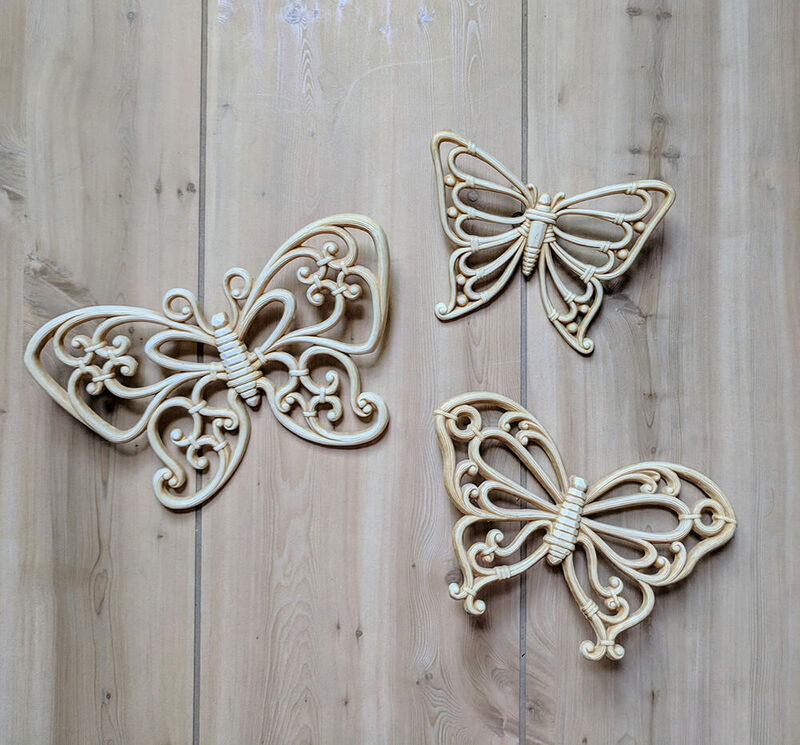 These butterflies are made from wood, curled and connected with small twine. The butterflies are painted in light cream color with a distressed paint look to give them that retro look you need for any room of the house. The cream tassels on the back make for a beautiful background, and the gold-painted instruments in the front have a nice contrast to draw the eye to the instruments. 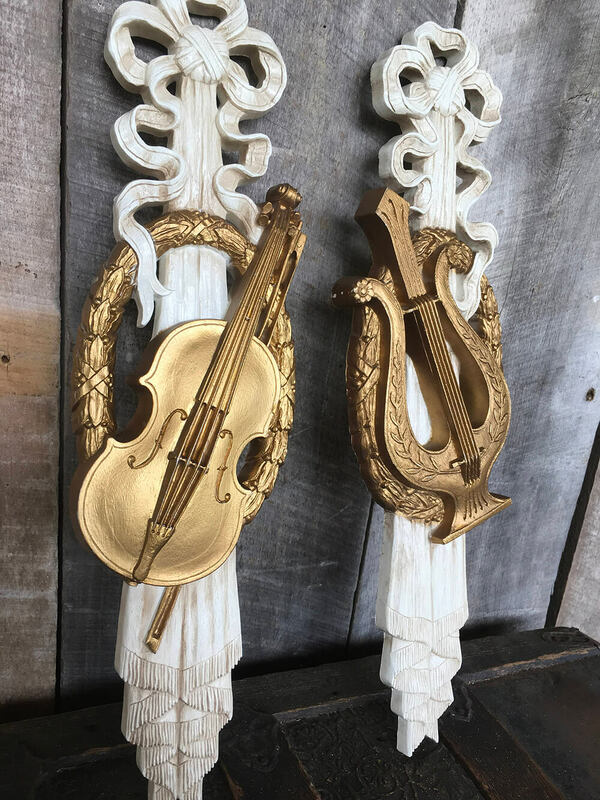 These are great for any music lovers that need a little old style in their home. 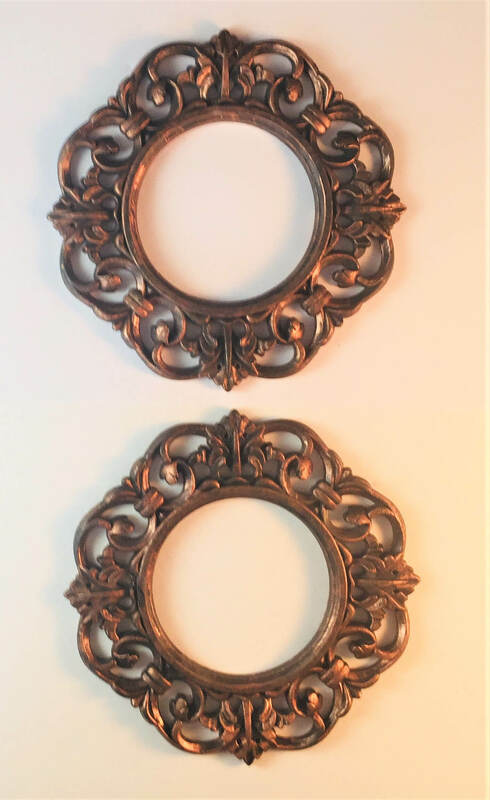 These bronze stained picture frames are the perfect wretch style frame to highlight your photos on the wall. They are made with a 3D, ornate design that looks beautiful with the filigree and paint. The frames are round, so you must use round photographs in the frames, but they provide a new aesthetic to any type of home or space. This picture is the perfect retro addition to your room. The burlap is the background for hand-painted butterflies, each done in the traditional 70s color schemes. 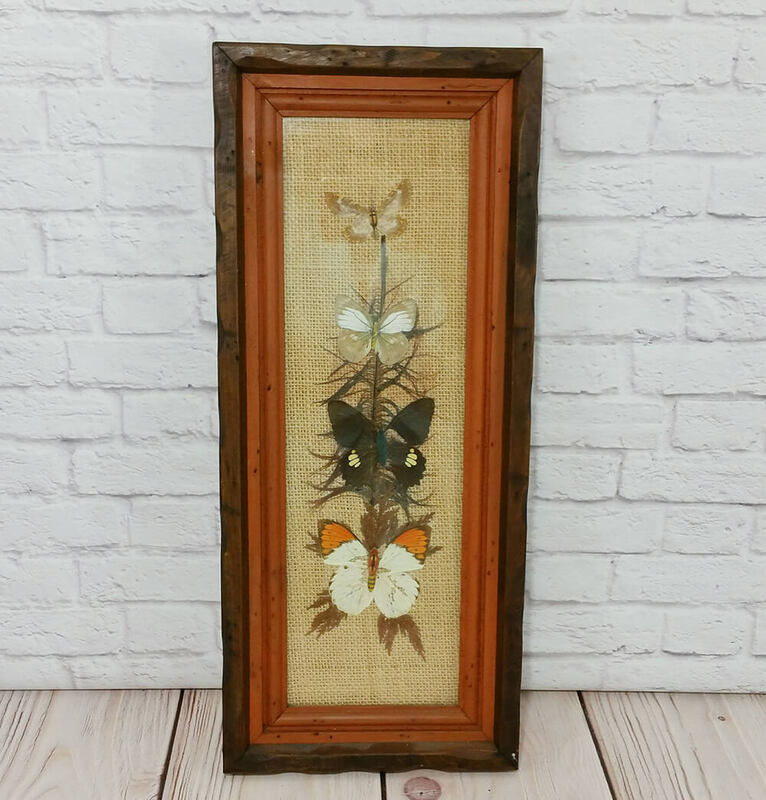 The frame includes two framing sets with a cedar wood and a dark wood to provide a beautiful combination that just screams retro for your home. 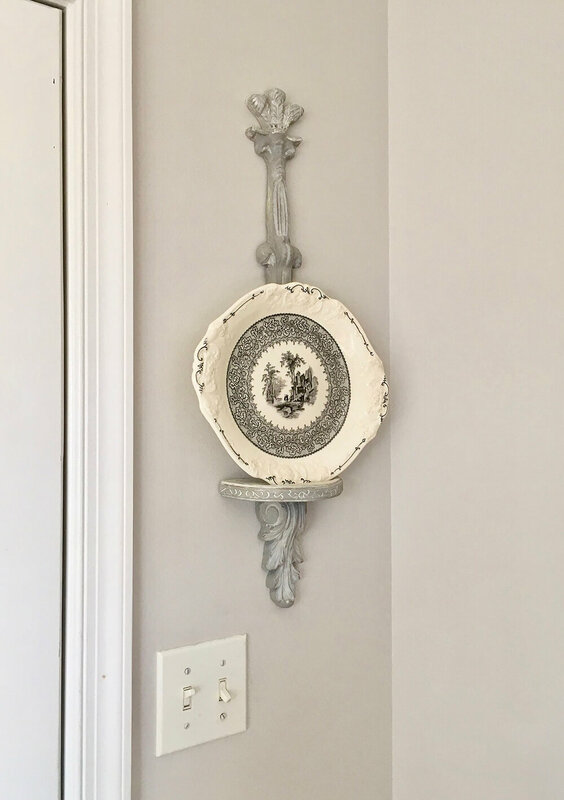 If you need something fancy but old-style to hold an old plate in your home, this plate holder has it all. The silver paint is distressed to give it a retro look, and the small shelf that you place the plate on is painted with a cream paint to help it stand out. This hanger has a tall back to give more décor to the wall once you hang it up. Those that need something simple in their home for some added flair will love this option. 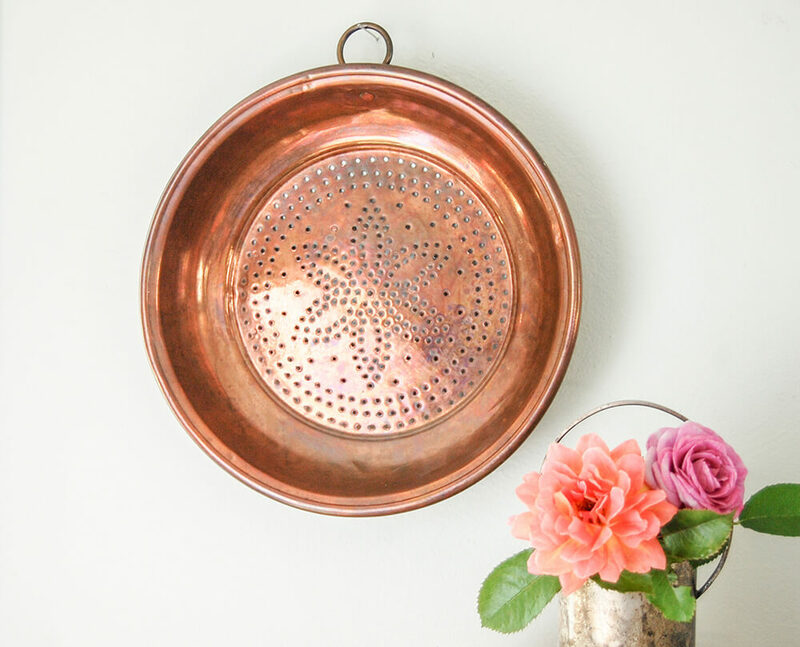 The copper pot has been poked to create a beautiful flower design in the center, and the pot has been given a small ring for hanging. You can hang it in your kitchen or even your dining room for a new look with a retro farmhouse vibe. These wall hangings are unique, but they look like something from an old classic movie. 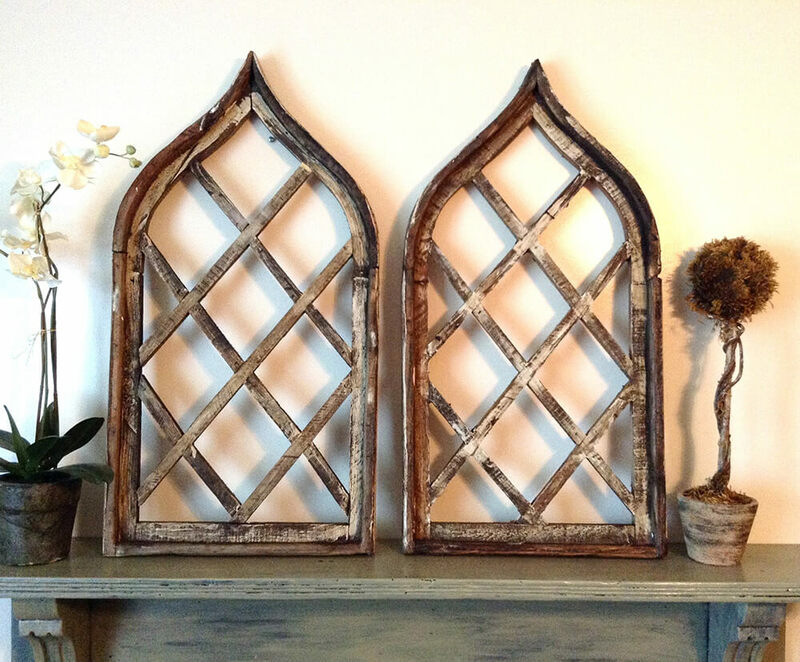 The latticework resembles an old window, while the stained wood has been painted to look distressed and worn. The frames of the hangings are made with bent branches that are still rough in shape. This wooden piece looks like an antique. 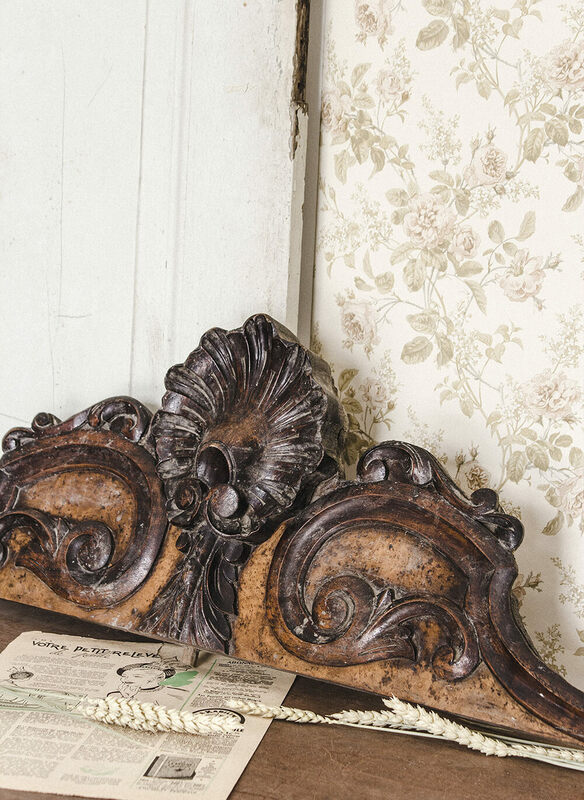 It has beautiful and ornate designs that have been carved and stained. The filigree makes it look like a Victorian era piece, and the flat bottom makes it perfect for sitting directly on your fireplace mantel, to give your guests something beautiful to look at when they visit.